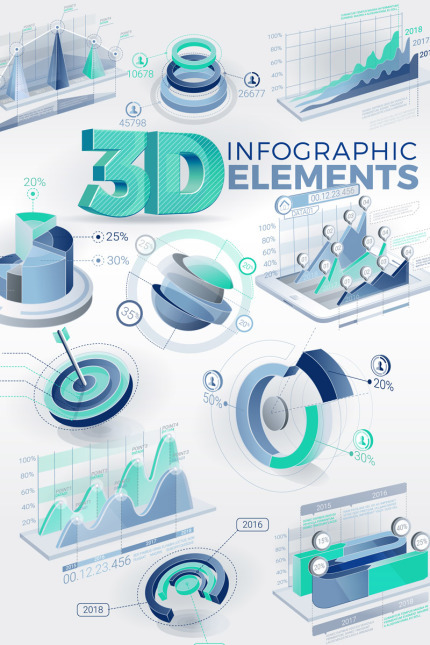 3D Infographic Elements is a After Effects template with a collection of 25 designed and animated infographics elements. A way to enhance the look and feel of web presentations, landings, business slideshows, company broadcasts, promotions, events and online marketing videos. All the inscriptions are Editable. All Elements animate up to 10 seconds. All Elements has in and out animations.